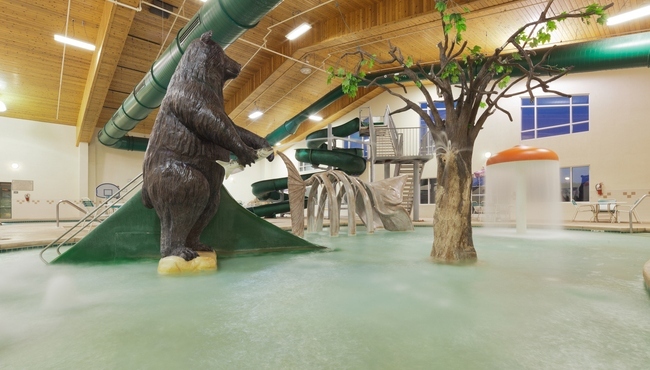 Slip down the 25-foot waterslide in Bear Foot Bay Indoor Water Park, conveniently located in the Country Inn & Suites, and share your experience with family and friends online with free high-speed Internet access. 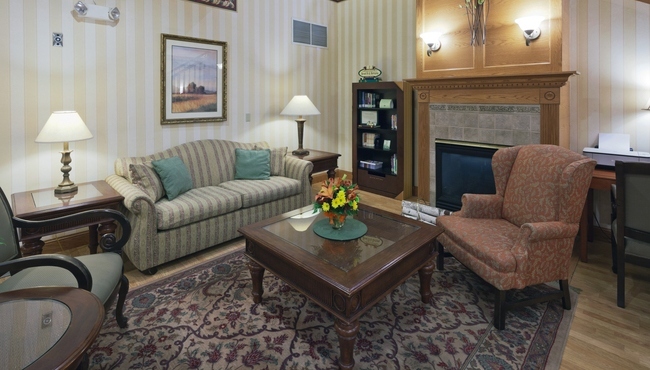 Guests also enjoy shooting pool in the Buckhorn Grill & Pub billiards room. 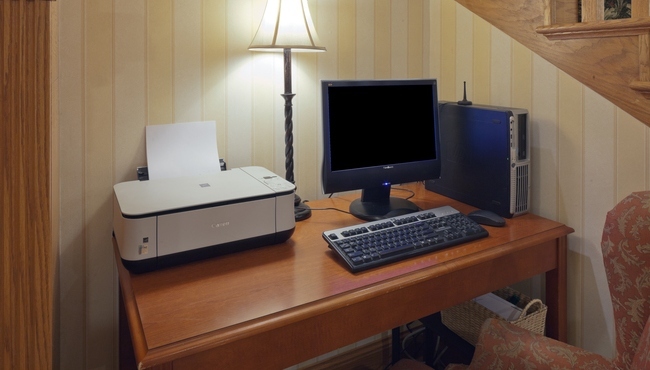 This hotel also offers a well-equipped fitness center, guest laundry facilities, pet-friendly amenities and a business center. Sat-Sun, 9:00 a.m. - 10:00 p.m.
Daily, 9:00 a.m. - 10:00 p.m.
For an additional $20 per night fee, you don’t have to leave your four-legged friends at home, as this hotel proudly offers the convenience of pet-friendly rooms and suites.